If you're a card carrying member of Generation X, then you probably remember the cartoon series Inspector Gadget with Don Adams. If you're not part of Generation X, then you probably remember the live action Disney movie of the same title that starred Matthew Broderick. The movie was ok but the cartoon was way cooler. This game is based on the cartoon and features Inspector Gadget, his niece Penny and her dog, Brain. The evil insidious organization known as MAD, run by Doctor Claw, has planned to take over the world by their dastardly deeds. Unfortunately for them, Inspector Gadget is on the case and he will use every trick in his body to stop them. Inspector Gadget is a classic arcade platform side scroller where you must collect items and defeat the agents of MAD. The game allows you to play as either Inspector Gadget, Penny or as Brain. 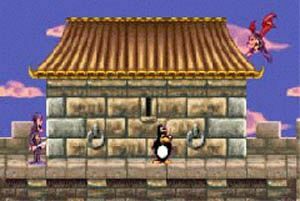 The graphics of Inspector Gadget makes full use of the GameBoy Advance architecture and features some very impressive graphics. All characters are made up of a high number of sprites and look sharp and detailed. The background graphics are extremely colourful and features the occasional special effect. 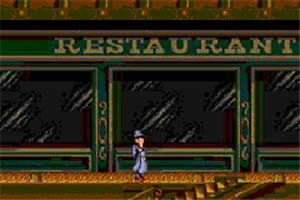 The gameplay of Inspector Gadget is extremely easy to learn as it's basically an old school arcade platformer game. 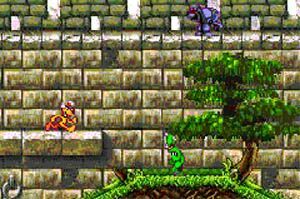 You must move your characters along the screen, defeat enemies and collect objects in order for you to proceed to the next level. The occasional puzzle is thrown in for some added difficulty. The sound effects of Inspector Gadget utilizes the powerful sound chip of the GameBoy Advance and sounds clear and sharp. The music is very "cutesy" and really suits the atmosphere of the game. 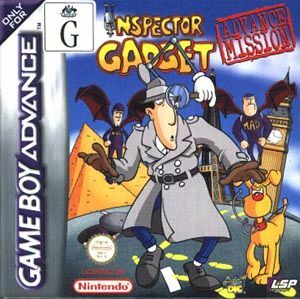 Inspector Gadget is a great little game for the GameBoy Advance and I would highly recommend it to children or Generation Xer's who love playing old-school arcade games. Check this one out!